If you feel strongly about something you may decide that you want to take part in campaigning – where people band together as citizens to try and get things changed. 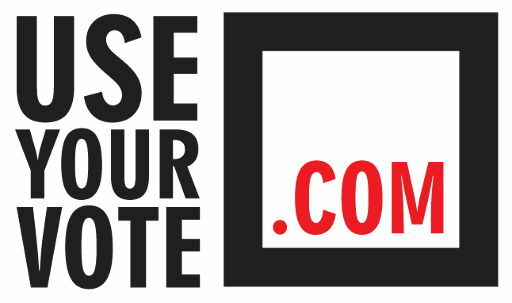 Use Your Vote is a campaign to encourage people to take part in politics and become more active in their communities. Like most campaigns, Use Your Vote was started by an individual and a group of friends and it has since gained the support of others, including a number of organisations and politicians. Use social media to voice your opinion, and support others or start-up your own campaign. Write to your local councillor, if the problem is local, or to your AM, MSP, MLA, MP or MEP if the matter is something for which the Government or European Union are responsible. Join an existing group of campaigners (or pressure group) who share your concern and wish for change. Write a letter or email outlining your point of view to a local or national newspaper or to an organisation that you wish to influence in some way, preferably addressed to a named person. Or you can join a political party where others are likely to share your point of view. Links to each of the main UK political parties are provided elsewhere on this site. These are groups of people campaigning for change on a particular issue or set of issues – they might support or oppose foxhunting, smoking in public or nuclear power, or they might be in favour of or against a proposed railway, airport or housing development. Usually, they are trying to influence government policy, or the behaviour of a particular group of people or an organization, or group of organisations. They can be local, small and short-lived – a campaign to keep a local hospital open for instance, or much larger, working all over the world – a group such as Greenpeace of Amnesty International. Some pressure groups work to promote the needs of particular groups of people, such as trade unions. Others may be based around a particular cause, such as poverty or nuclear disarmament. Some pressure groups work closely with governments, and may be invited to give advice on proposals for new legislation. Others remain outside government sometimes because they choose to, or because their ideas and principles are well outside government thinking. Can I be a campaigner? Yes. Campaigns need all kinds of people to be successful. Everyone has a skill to offer, whether it’s helping to organise events, raise money, write letters, carry out research, canvass on the streets, answer the phone, or simply turn up at a march or rally. Many politicians first got involved in politics through taking part in campaigning on a particular issue. There are various laws and regulations about what might be termed the “rules of campaigning” and campaigners often disagree about whether these rules are too ‘tight’ or too ‘loose’, but in democratic societies, there is a broad commitment to campaigning that is non-violent and respects the rights of others to have alternative views. What skills might I need to be a successful campaigner? Campaigners need to be determined, organised and committed to their cause. They generally need to be able to work in a team with other people and not to become too down-hearted when things don’t go as they had hoped. Campaigning on any issue has its highs and lows, but campaigners of all sorts and on all sides are united by one thing – they care enough about their cause to get involved in the struggle for change. Many of the rights that we now take for granted – including the right to vote – have their roots in the dreams and courage of political campaigners. That’s why the Use Your Vote campaign is not just concerned about whether you turn up at the ballot box every five years. We want to see a society in which people care about, and take part in, politics – and campaigning – on a day-to-day basis.